I thought these two images had a similar composition and colours. The first comes from the Beamsville Fairgrounds and displays the scratches and rust on another transport truck. We saw the earlier pictures in the shocking red. 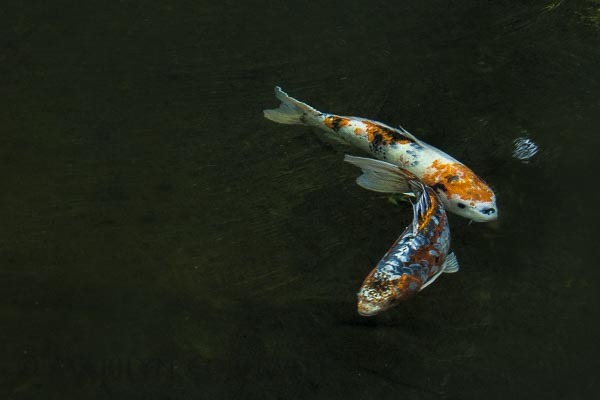 Of course, the second is of Koi swimming. These were at the Portland Japanese Garden a few years ago. I didn't know how to eliminate all the background elements in the water then. When I saw it this week, I realized it could be an interesting picture. 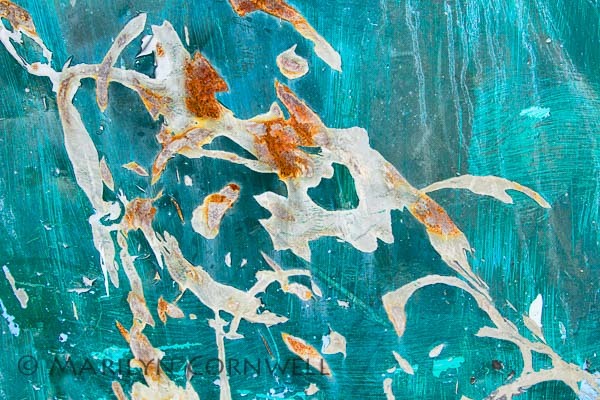 I was drawn to the metallic colouring and shine that contrasted with the oranges. This picture will join the series 'Koi, The Living Art'. I've included the Redbubble pictures of the series.